Until recently, if you were shipping a carton under three cubic feet, none of the carriers cared much about your box size – it was all about weight. Today, the major carriers have wised up – they want full packages so that they can fill trucks and fill planes with higher value shipments. The carriers have adjusted their rate structures to reward small, denser packages, and conversely, penalize shippers for sending oversized, mostly empty boxes. Small parcel pricing is now based on dimensional weight. DIM weight is a pricing technique which uses an estimated weight calculated from the length, width and height of a package. Both UPS and FedEx rates are based on the higher of a) price by weight, or b) price by cubic volume. Let’s run through a common shipment I received just last week – a pack of 20 small batteries. I received my Amazon order in a small carton measuring 7.25” x 10.25” x 5.25” weighing under 1 pound. This common Amazon carton is marked “A3” on the box. Well, don’t you look lonely. Now running through the DIM weight calculations used by both UPS and FedEx, I multiply 7.25” x 10.25” x 5.25” for a total of 390 square inches. Divided by the UPS/FedEx divisor of 139 I get a DIM weight of 2.81 pounds, which is rounded up to 3 pounds. Since the 3 pound DIM weight is greater than the under 1 pound actual weight, the package ships at the 3 pound rate. Shipped from Kentucky to a residential address (surcharge), the UPS Ground rate would be $13.71. Shipped FedEx Home Delivery, the rate would be $10.41. Now here’s where things get interesting. The box of batteries I received was 95% empty! Had the packet of batteries been packaged inside a Conformer Heavy Duty Mailer measuring 7” x 9” x 1” thick, the UPS Ground rate would be $12.00, a 1 pound rate, or via FedEx for $9.42. Peeling that onion a bit further, had the Amazon A3 carton been shipped via USPS Commercial Plus Cubic the rate would be $5.22. If they shrank down their DIM size using a Conformer Heavy Duty Mailer the rate would be $4.58. Rates for Priority Mail Commercial Plus—Cubic can be found here. I wrote about this new rate catagory a few weeks ago. Read the details here. Even Amazon could have saved money. Mailer plus batteries weigh 3.7 ounces. One step further – it turns out Amazon shipped my package using the USPS Lightweight Parcel rate designed for packages under 16 ounces. My battery box was 13 ounces. Depending on how finely Amazon sorted shipments, the rate they paid would have been between in the $3 – $4 range. 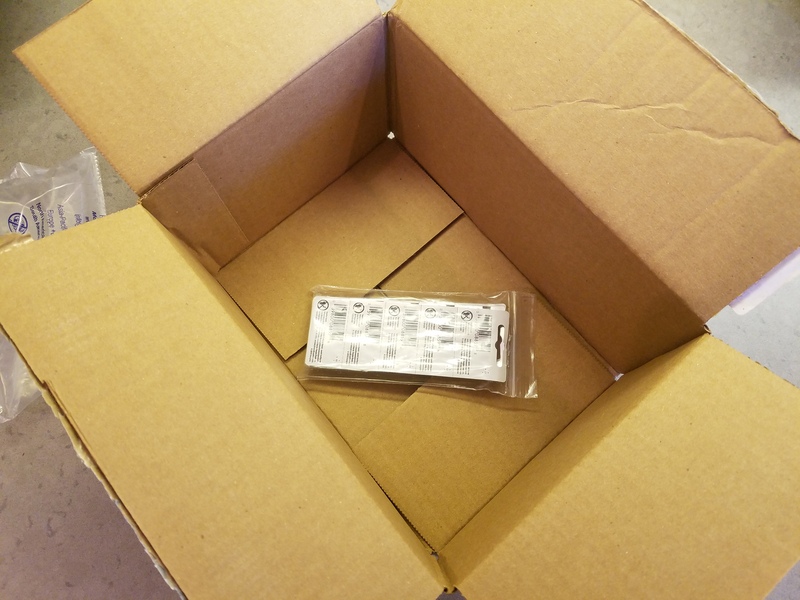 Had Amazon downsized their over-sized box for a Conformer mailer, package weight would have dropped from 13 ounces down to 4 ounces, saving them an additional $0.79. Lightweight Parcel rates can be found here. Further product info here and here. You can read my assessment of this new USPS product here. So what’s the take away from this packaging rate bonanza? 1 – If you are shipping small items, under half a square foot, that weigh over 1 pound, make your packaging as small as possible to take advantage of Commercial Plus Cubic. Pricing is based on cubic inches only – weight is irrelevant, so make the most of it. 2 – If you are shipping small items under 1 pound, take advantage of Lightweight Parcels. The rate is per ounce – cubic inches are irrelevant, so make your packaging as light as possible. Parcel Select Lightweight is an excellent alternative to Priority Mail as it allows customers to ship lightweight packages from 3.5 to 16 ounces at a per ounce rate, nearly half the price of USPS, UPS, and FedEx grounds services. Conformer Paperboard Mailers shipped via Parcel Select Lightweight are a perfect combo of efficient packaging and low cost delivery – ideal for many e-commerce applications. • Parcel Select Lightweight offers per ounce rates, far cheaper than other parcel rates offered in pound increments. • Parcel Select is designed for companies shipping over 50,000 packages per year. • Packages must weigh 3.5 to 16 ounces. • Packages must be presorted to Destination Delivery Unit (DDU), Sectional Center Facility (SCF) or Network Distribution Center (NDC). • Price is determined by distance and weight of the mailpiece – size does not matter. • Delivered in 2-9 days. eCommerce shippers typically ship packages with USPS Priority Mail, UPS Ground or FedEx Ground. For shipments under 16 ounces, these services are likely unnecessary. USPS, UPS and FedEx rates for 1 pound start at $5 – $7 and go up depending on how far your package travels. Depending on how deeply a shipper is able to sort their shipments, Parcel Select Lightweight yields rates range from $1.38 to $3.20 – that’s less than half. If you are shipping over 50k packages per year, and your customers will accept delivery in 2 – 9 days, you need to get on board with Parcel Select Lightweight. Rates can be found here. Further product info here and here. Who should be taking advantage of these rates? USPS launched Commercial Plus Cubic rates a few years ago. Unfortunately USPS has done a limited job of marketing and educating their commercial customers about who should be using it. After reviewing countless technical specs, pricing charts, and numerous discussions with USPS reps, here’s a breakdown of who should be using this new rate, and why. • Rates are based on volume in cubic feet, rather than weight. Package weight does not factor into pricing. • Must weigh less than 20 pounds and measure no more than 0.5 cubic foot. • Commercial Plus Cubic is a USPS Priority Mail product so you get tracking, insurance, and delivery in 1 to 3 business days. • Customers must ship over 50,000 packages a year to qualify. • Significant savings compared to traditional Priority Mail for customers shipping small, dense items. • The length, width, and height measurements should be rounded down to the nearest 0.25”. Time for the hidden savings! • Let’s say you ship a 1 pound parcel in a typical 7″ × 9″ × 3″ carton. 7 × 9 × 3 / 1728 = 0.1094 cubic feet, which would be Tier 2. • That same shipment packed in a 7” x 9” Conformer Heavy Duty Mailer would yield a thickness less than 3”, allowing for Tier 1 classification. 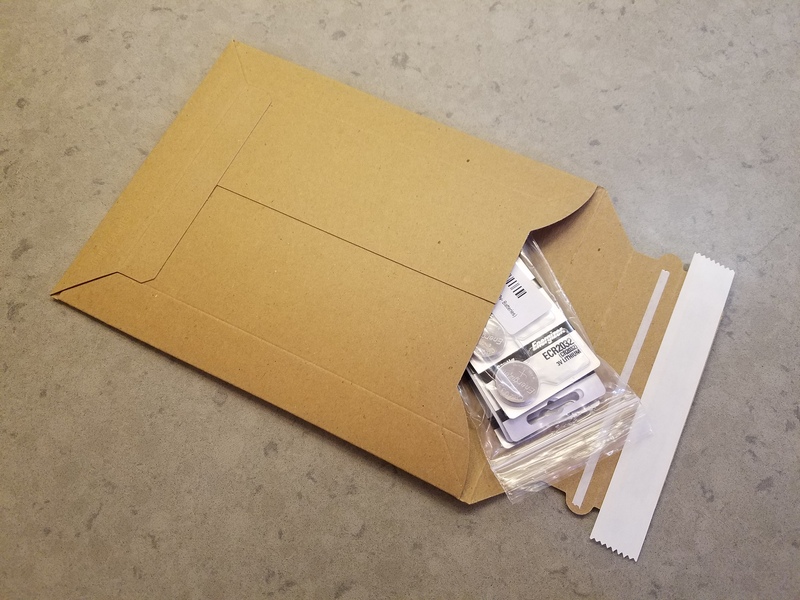 • If we reduce the thickness of the package from a 3” box to a 1” thick Conformer Heavy Duty Mailer, your package drops from Tier 2 down to Tier 1. So now you’ve saved $2.07 compared to traditional USPS Priority Mail. Compared to UPS and FedEx rates you are saving over $3 for a comparable level of service. In a recent Wall Street Journal article, FedEx CEO Fred Smith took e-retailers to task over poor packaging practices. In an effort to share the blame for lost, damaged, and delayed deliveries over the 2013 holiday season, Mr. Smith pointed a finger at shoddy labeling and improper packaging. Drones aside, Mr. Smith’s message is clear and timely. E-Commerce is booming, shipping packaging is booming, and the old ways of cheaper is better packaging might not work anymore. In the electronic environment of online purchasing where consumers never step into a store, pass by a friendly greeter, get sales help or technical assistance with a new product, tactile touch points are gone. In place of the in store experience, e-Commerce consumers interact with a website, receive order and shipping status emails, and finally receive product packaging. Marketers need to make sure that product packaging matches or exceeds the tactile in-store experience. Few e-Retailers take shipping packaging seriously. Most of the big players still rely on brown boxes with white labels – few “splurge” on printed packing tape. I wonder when marketers will step up to create a shipping experience on par with their in-store experience. Commercial Plus Cubic – Little known USPS discount that could save you bundles. The USPS launched Commercial Plus Cubic rates in 2011 with little fanfare and minimal consumer or USPS employee education. If you Google “Commercial Plus Cubic” – you will find very little information aside from technical specifications. Why you ask? Your guess is as good as mine, but let’s try to de-mystify this little known treasure trove. The concept is simple – Commercial Plus Cubic prices are not based on weight, but are charged by zone and cubic measurement of the mailpiece. Notably, the USPS requires mailers ship a minimum of 50,000 units per year. The savings sweet-spot is with dense packaging with limited empty space. The more you can fit into a smaller package, the better the rate. 11.75″ x 14.5″ x 1.75″ = 298.16″ then 298.16″ / 1728 = 0.172 sq / ft.
A package with a cubic volume of 0.172 sq/ft qualifies for the < 0.2 rate, or $4.99 – $7.56 depending on zone. $4.99 – $7.56 – Priority Mail Commercial Plus Cubic rate – depending on zone – details here, rates here. $5.32 – 11.96 – Priority Mail regional rate box type A – details here, and rates here. $12.35 – Priority Mail – Medium Flat Rate Box – details here, and rates here. $6.47 – $21.96 – Priority Mail – Commercial Plus, non-flat rate packaging – depending on zone – details here, and rates here. You ship over 50,000 units per year. You ship items over 1 lbs. The items you ship do not require significant padding. The items you ship are under 0.5 sq / ft in volume. Ideal items to ship via Commercial Plus Cubic: Batteries, small parts, cables, books, thick statements and reports, stationary, PC games, etc. No doubt about it, talented graphic designers know how to balance striking imagery with confident restraint. 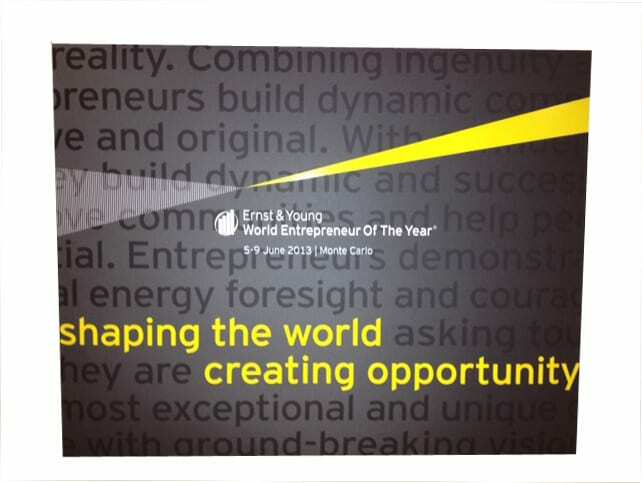 In the case of Ernst & Young, their 2013 Entrepreneur of the World Gala Conformer Portfolio communicates self-assurance, prestige, and status. The art is simple, utilizing “white” space and a fine-tuned message. 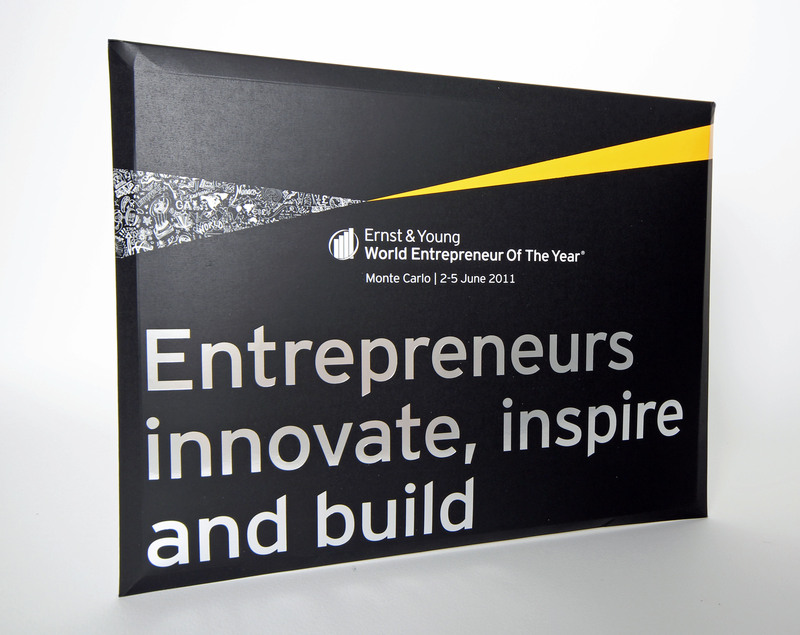 2013 marks the third consecutive year that Printing Industries of America has recognized Ernst & Young’s great artwork combined with Conformer’s sleek packaging design with a Benny Award of Special Recognition in the envelope category. With over 2,800 entries, we are honored to be among industry leaders and thankful that great clients like Ernst & Young come back to Conformer year after year for their most important events. You can read previous posts about our 2011 and 2012 Benny Award winners. 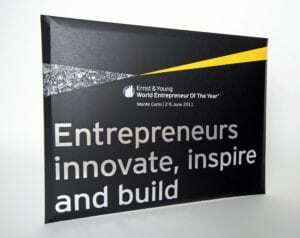 Refined and restrained - Ernst and Young delivers a clear message of quality. Conformer Paperboard Portfolio – 10 1/4 x 13 with 3″ flap, Velcro closure. Two color printing, heavy coverage. Overall soft-touch aqueous coating with spot UV coating. 16pt coated one side paperboard. No doubt, news of National Envelope bankruptcy does not come as a surprise to industry insiders. In fact, Mr. Benjamin has been telling his envelope manufacturing constituency for some time to look beyond the traditional envelope markets; specifically how they should take advantage of their strengths (***manufacturing capacity, purchasing prowess, client relationships, and complex distribution systems***) and pivot their product mix towards growing demand for packaging. Change certainly doesn’t come easy for corporations who have the scale to compete in low cost commodity markets. Time will tell who within the industry have the vision and foresight to pivot their strengths (***see above***) towards growth opportunities. In a May of 2012 a report titled Focus on the Future published by the International Post Corporation and The Boston Consulting Group there is strong support for the USPS and international Posts to shift focus towards consumer demand for parcel delivery. The report illustrates the decoupling of GDP growth from mail volume growth in the year 2000 combined with over-capacity found within the USPS that the posts must act quickly to create new product offerings to fill the void. The IPC report states, “The growing parcel market will soon be larger than the declining mail market. In some markets (International Posts) this point has already been passed: in most others it will happen in the next ten years.” The report goes says that Posts should drive towards this tipping point to capture market dominance as parcel mail margins are typically higher than those associated with mail. Much of the rapid growth of the parcel market can be attributed to e-Commerce. The IPC report states that internationally, “eCommerce parcel revenue (is) projected to grow at 7% per year”. USPS mail has declined at a faster rate. As I have noted in previous blogs, the USPS has been moving surprisingly quickly to capture market share launching a myriad of new small parcel product including Package Return Service, Lightweight Parcels, and Commercial Base Plus Cube Rates. Time will tell if they can take business away from FedEx and USP. I recently attended an Envelope Manufacturers of Association (EMA) webinar featuring Gary Reblin, Vice President of Domestic Products, USPS. Reblin is responsible for the growth and development of all postal mailing products and services and customer service improvements. The EMA webinar is part of a monthly series focused on packaging opportunities for traditional envelope manufacturers attended by the membership’s most progressive thinkers seeking entry into the steadily growing packaging marketplace. Reblin’s report stated that Priority Mail Padded Flat Rate Mailers are the fastest growing packaging category. In August of 2012, the USPS provided 2.6m free Priority Mail Padded Flat Rate Mailers, up from 1.9m provided in August 2011. In reference to audience comments that boxes and padded mailers don’t fill a truck as efficiently as envelopes and paperboard mailers, Reblin replied, “We want the best cube possible. We want to be able to offer the packaging at good pricing. We should be driving solutions that meet what the consumer needs…. Consumers shipping stationary should not be using bubble mailers.” Maybe it’s time the USPS takes a look at the successful implementation of Conformer paperboard mailers over the border at Canada Post. Reblin’s presentation stated that the USPS has offered lots of new packaging options this year to encourage consumers to use the right size packaging that will be more cost effective for consumers and pack more efficient in USPS freight containers. Of the 1.4 billion parcels shipped by the USPS in 2011, more than half of them were shipped in priority mail and express mail packaging provided by USPS. We’ve heard the Postmaster General speaking for some time about how the USPS is seeking new markets and opportunities. This was the first time I’ve seen change percolating out to the field.